The mention of a marriage contract usually has a lot of people scampering for safety, thinking that someone is out to get their hard-earned wealth. Well, it is not always the case. There are those few instances where some spouses have used the marriage contract as a means of amassing wealth, spouses who were never really in the marriage for the sake of love or happiness. Despite the negative light that society has put on marriage contracts, these are actually brilliant documents that safeguard your future and that of your kids, should you ever get to have some. 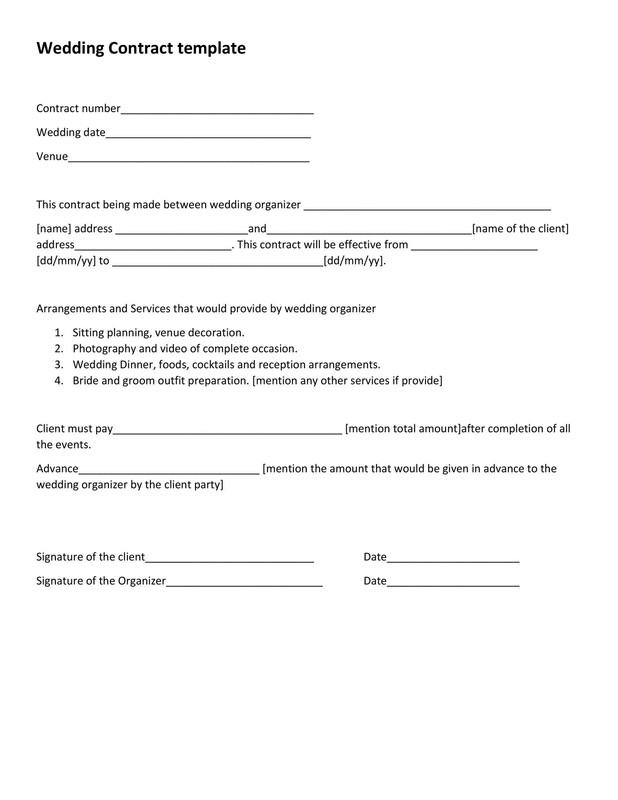 A marriage contract template is simply a contract that sets out to define the eventualities of what would happen in case the marriage relationship comes to an end, or anything else happens to the marriage that does not see the partners being together for the rest of their lives as had been planned initially. 4 Why get into a military contract marriage? 6.1 Is the bride a virgin? 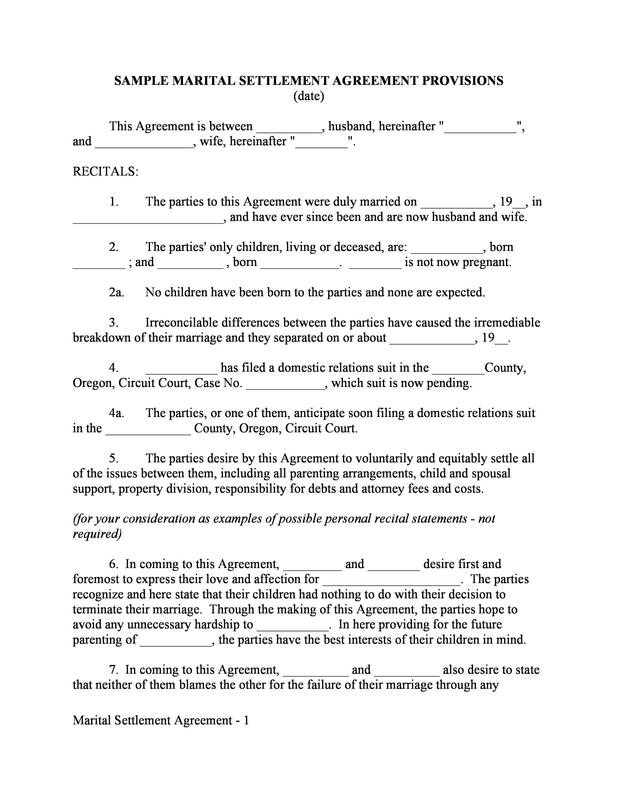 Any marriage contract can be drafted to be narrow or wide, depending on how you want to handle things. The most important thing about these agreements is that they have to be addressed in such a manner that they meet the needs of both of the individuals that are party to the contract. More importantly, the marriage contract will often be drafted to help the parties understand how they can deal with debts, assets, and property in the event of a separation so that there is no need to spend so much on litigation. In most cases, in case there was no marriage contract, a spouse is legally entitled to an interest in any property that their partners acquired in the course of their marriage. Things like business interests and investments that partners enter into are usually considered as property at the time when the net property of the family is being calculated, as a means of determining the equalizing payment to either party when the marriage does not work. This means that in such a case, an appreciation in the property or business value will also be taken into consideration. 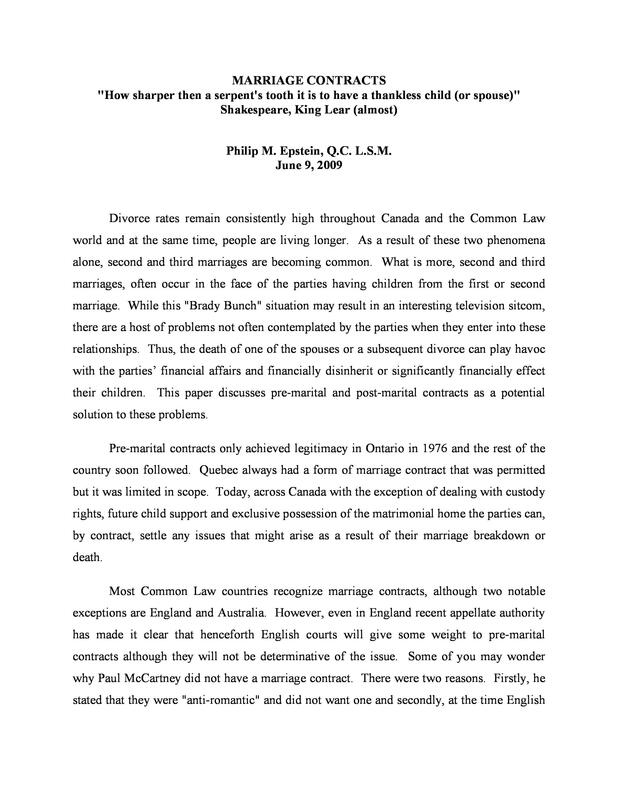 More often, there are a lot of complexities that arise in settling marriage disputes, complexities that can be avoided by having marriage contracts drawn out by experts at the beginning of the relationship. Without these, many are the marriage disputes that have gone on for years, in the process, the parties endure a lot of pain. 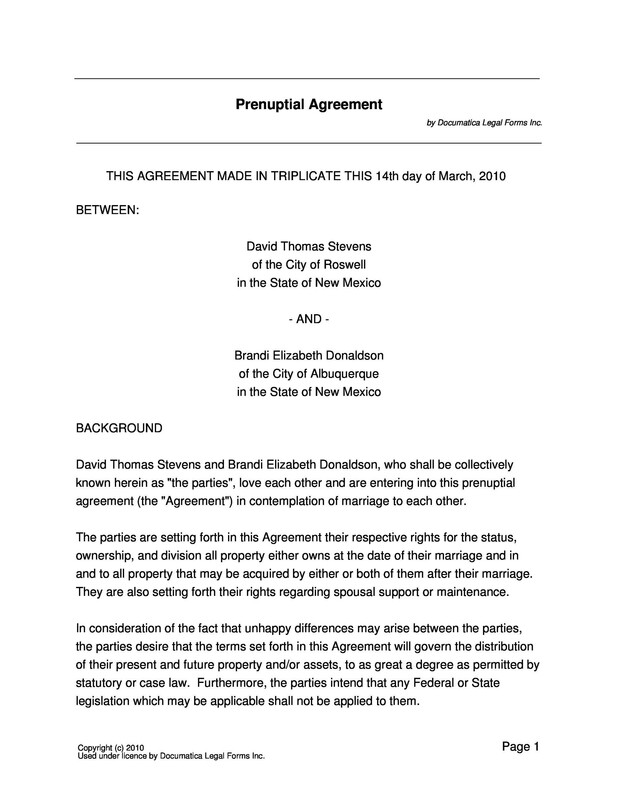 More importantly, a marriage contract is important in the sense that it is an agreement by both parties that this is a binding contract between them, and they intend to honor it to the end. Any marriage contract sample does not sound romantic at all, in fact, they are not romantic. However, having one will protect you financially and emotionally when things do not go according to plan. Despite the best intentions and how much love you have for one another, most marriages go through a rough patch from time to time, and not all of these marriages survive these ordeals. There is a lot of time and effort invested in a marriage, and this is one of the main reasons why it is wise for you to make sure that you have something to fall back on, in case things do not work out. Nothing hurts like coming out of an unsuccessful marriage and having to start building your life afresh from zero, having invested so much of your time, emotions and resources into the marriage. It gets worse in the event that the tribulations that the spouse or the family endure come about as a result of the death of a partner. A lot of families have gone through this, where their partners’ death signaled the beginning of the end of their good life, having assets taken away by their in-laws and so forth. A marriage contract, therefore, is about planning ahead. A marriage is more than just about being together with someone, it is also about an economic partnership between two people, and as such it establishes terms and conditions of this agreement, and what happens in the event that the two parties involved are not together anymore. Whether we like it or not, one of the most significant assets that come under threat should a marriage fail is the matrimonial home. This is where you plan to raise your kids into the future, and when the marriage does not work, ownership becomes an issue. In most cases, even if the matrimonial home is in the name of one spouse, the value is usually split 50/50. It sounds like a fair agreement, unless in a situation where one of the partners actually owned the house before the relationship. In this case, therefore, it becomes a tricky situation, and these are the things that can be sorted out with a marriage contract. It determines how you and your spouse would want assets handled in the future, should the need arise. Why get into a military contract marriage? Being in the military is not exactly one of the easiest things that family members can deal with. Of course, their loved ones are out there serving their country behind enemy lines and keeping everyone else safe. However, the trauma of the possibility of your loved one not coming home is usually intense. A lot of families whose loved ones have served in the military know the pain all too well. In a military contract marriage, there are certain benefits that are bestowed upon the spouses in the event that their loved ones are serving their country wherever. It is a difficult lifestyle, but there are some benefits that those who remain behind get to enjoy. In some cases, the spouses enjoy discounts or cash benefits. Other than the paychecks, there are also benefits like significantly subsidized health care and grocery purchases. There are other benefits too, like employment opportunities or even educational benefits that you get from having a military contract marriage. These are benefits that you are automatically entitled to when you marry into the military. There are other benefits, however, that you can enjoy, but are not automatically provided to the spouse. This is one of the programs that military spouses get to benefit so much from. It is a scholarship program where the spouse gets up to $4,000 in financial assistance as long as they are undertaking any course that is offered by institutes that are affiliated to the MyCAA program. Life insurance is an important investment into the future. As a military spouse, you are entitled to get up to $100,000 as life insurance cover. The active member in the military is expected to enroll the members of their family in this program. It is a good program because it can cover the spouse and the dependents, though their coverage must never exceed that of the service member. For your kids, they will be covered for up to $10,000. In light of the fact that the rate of unemployment is high all over the world, this is one of the benefits that you will come to enjoy when you marry into the military. Under this program, military spouses usually have an advantage in case there is any employment opportunity available at the Department of Defense, especially in positions that can be held by civilians. There are so many other benefits that you will receive when you are married into the military, and this is why it is usually advisable to make your marriage official by having a marriage contract. 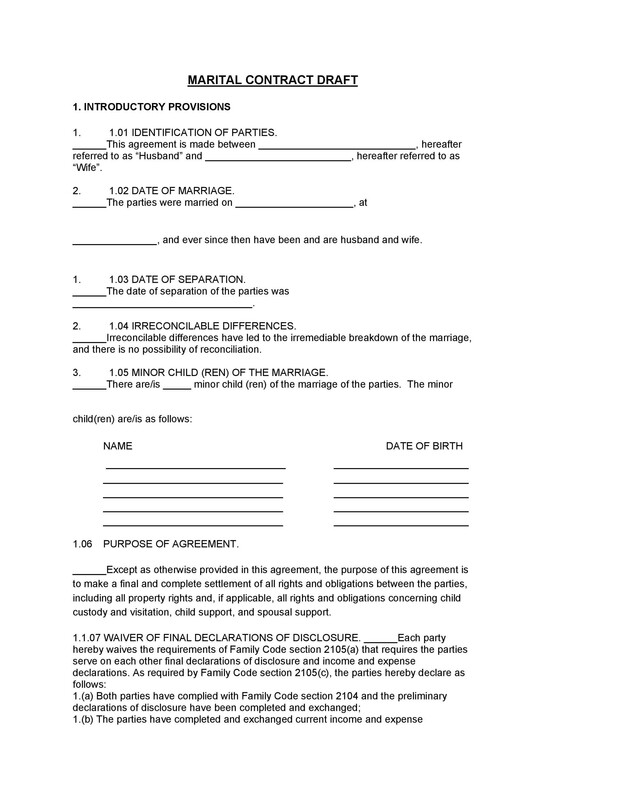 It is a simple document but it can help you out a great deal in the future. In the Islamic community, celibacy and bachelorship are practices that are considered devastating, un-Islamic and act as a threat to the Muslim community. Allah created things in pairs and these pairs are supposed to be together for the sake of reproduction. A man and a woman should live together and bring forth children, and keep generations growing. Nikaah (marriage) is the key to a healthy relationship. Pre-marital relationships are generally forbidden in Islam. From an Islamic point of view, marriage is not just a means of gratifying your passions and natural desires, but the goals of marriage actually run deeper than legal coitus. 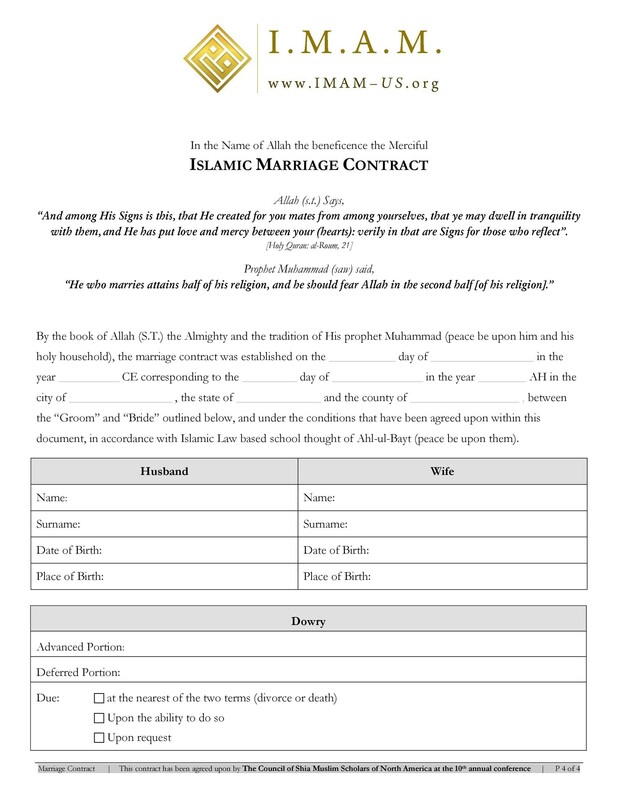 An Islamic marriage contract is, therefore, a formal bond between strangers that makes them a husband and wife. 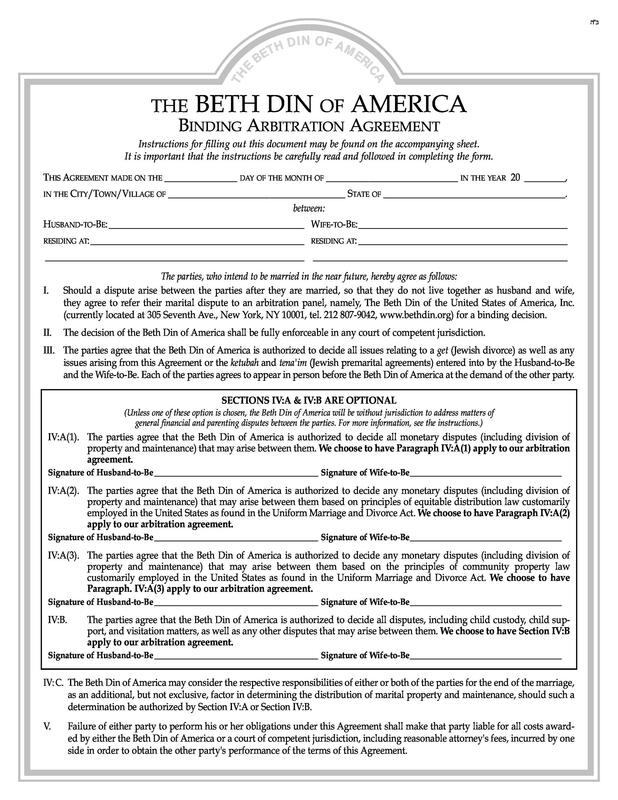 It is an important contract that most people intend to and actually abide by for the rest of their lives. This is an important contract and there are certain guidelines that this contract is supposed to fulfill. Marriage is a serious matter, and you should take it seriously all the time. When you get into marriage, you know you are in fully. In the words of the Messenger of Allah (s.a.w), There are three matters in which joking is not allowed; marriage, divorce and emancipation – of slaves. There are preconditions, optional elements, pillars and requirements that govern an Islamic marriage contract. In order for your marriage to be valid, it has to meet these conditions. If these conditions are met, the bride and groom to be can look forward to an amazing new chapter in their lives as husband and wife. For the husband and wife to be joined in holy matrimony, this has to be an agreement that the bride consents to. Without the permission of the bride, the marriage contract is null and void, or at the request of the bride, Islamic authorities are allowed to invalidate the marriage altogether. To give her permission, the bride can either passively express her approval, or express it vocally. She can also make any other motion to indicate that she is not against the marriage when she is asked about her potential husband. According to The Prophet (s.a.w), A de-flowered woman (divorcee or widow) may not be married without her instructions, and a virgin may not be married without her permission, and her silence indicates her consent. The Wali is the guardian of the bride. 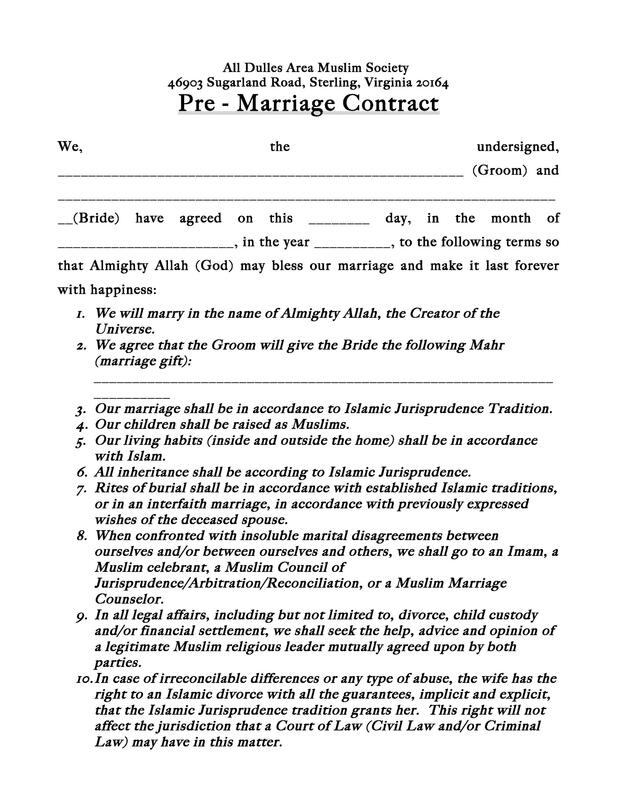 For a marriage contract to be valid in Islam, the guardian has to give consent. In fact, without a Wali, the marriage contract is invalid. In most cases, the Wali is the girl’s father. If for some reason the father is not available, the bride’s next closest blood relation will be her Wali. This can be anyone from her son, brother, uncle, grandfather and so forth. The bride is, however, not allowed to choose another woman to act as her Wali. The Prophet (s.a.w) said; A woman may not give another woman in marriage, nor may a woman give herself (independently) in marriage. Assuming that the bride has no Muslim blood relative that can act as her Wali, a Wali can be appointed for her by the Islamic authority, under the representation of a judge. The local Imam can also act as her Wali. For an Islamic marriage contract to be valid, you need at least two trustworthy witnesses (male) without which the marriage can be invalidated. In a marriage contract, there is a mandatory marriage gift that the husband usually gives to the wife. This is referred to as mahr or sadaaq, or simply dowry. In the words of Allah the Most High, And give the women their dowry as a free gift…..And give them their compensation as an obligation. This is usually a right of the bride, and without her permission, no one is allowed to take it or any part of it. Even her parents are not allowed to take her dowry. The dowry can usually be given in different forms, either as a non-material or a material gift. There is no specified amount in Islamic Sharia, of what the dowry should be, or what it should be equivalent to. However, it is supposed to be something that is reasonable for the bride, given her social status, and something that is within the financial ability of the groom. 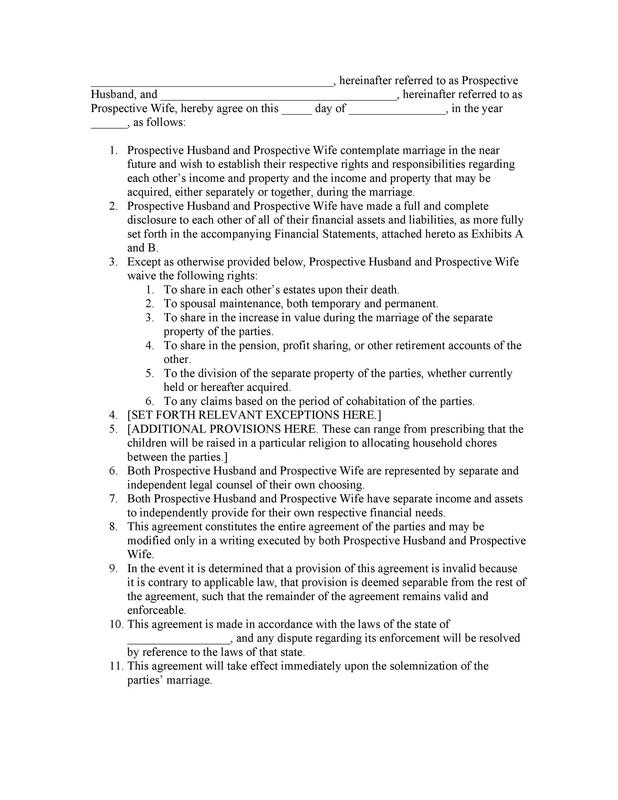 This can be determined by an agreement between the bride and groom, or the groom and the bride’s Wali. 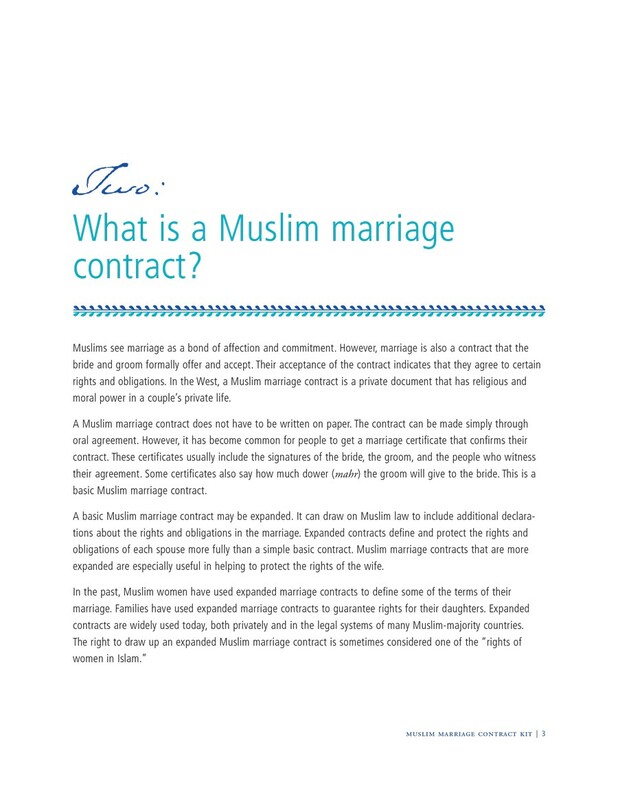 When coming to terms of an Islamic marriage contract, the bride and groom may set out conditions to the marriage, the violation of which would definitely invalidate their marriage contract. However, this is only acceptable to the point where these conditions are in violation of the Islamic principles. Whoever is in-charge of the marriage ceremony is expected to begin with the Khubat-ul Haajah. The most important pillars of an Islamic marriage contract are offer and acceptance (Ijaab and Qabool). These simply are an indication that there is mutual agreement and acceptance between the parties involved to become united in marriage. Ijaab and Qabool have to be clearly stated. The words have to be defined clearly and both parties have to understand and agree to them. All this is done in one sitting, and cannot be done without witnesses. It is the role of the person conducting the marriage ceremony to assist the bride and groom in saying these words in case they are unable to. 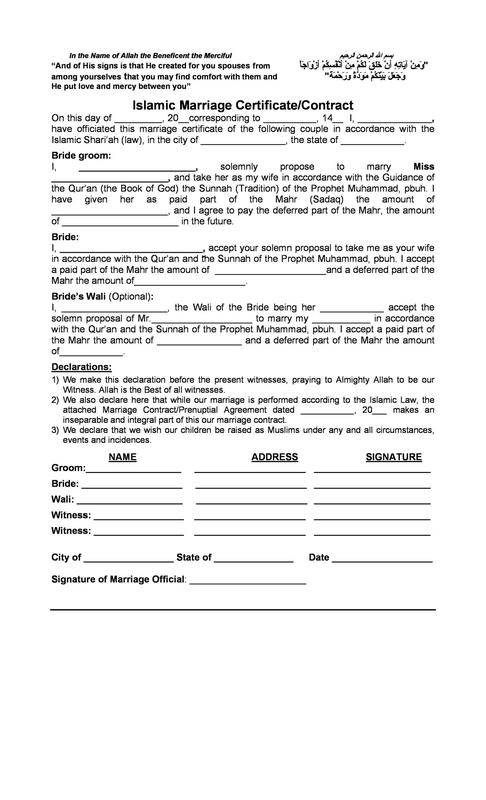 It is important to note that documentation of a marriage contract in Islam is not mandatory because it does not affect the validity of the contract. However, for future reference, it is a good thing to document the agreement. This acts as a preservation measure for the rights of the wife and husband. As long as the marriage contract has been executed, the responsibilities and rights of the bride and groom take effect immediately. 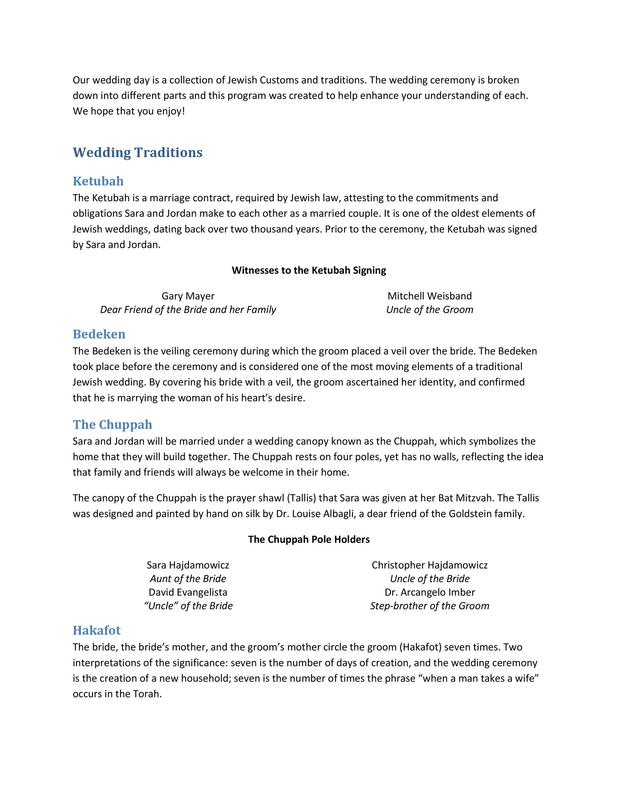 The information that is contained in the Jewish marriage contract (Ketubah) usually complements any information that is available in the civil records. 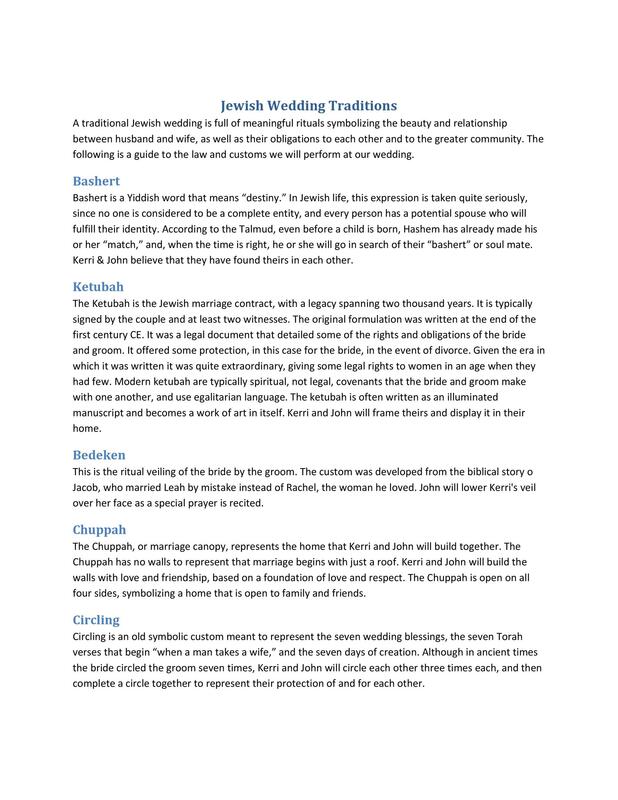 As a matter of fact, the civil records will identify the bride and groom by their family names, while the Jewish records identify them by their fathers’ names. You will notice that the biggest difference between a Jewish marriage contract and a civil marriage contract is that one emphasizes the union and another on the termination of this union. The recital above must be witnessed by two Jewish men who are not related. The witnesses have to sign their names on the marriage contract. Essentially, the bride and the groom would simply have married themselves, and have two people witnessing the fact that the marriage has indeed happened. 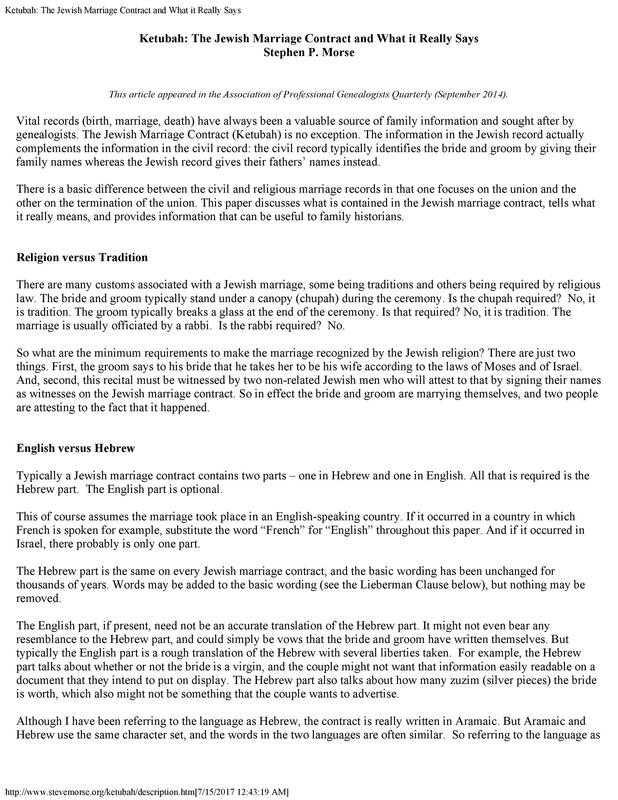 The Jewish marriage contract is usually available in two parts; English and Hebrew. The English part is actually optional, but the Hebrew bit is mandatory. In case the marriage was taking place in a country where English is not spoken, then English would be substituted for whichever language that is spoken in that country. In case the marriage was taking place in Israel, well, there is no need for anything else other than the Hebrew part. The Hebrew bit is same all over, and for thousands of years, the wording has remained the same on every Jewish marriage contract. It is possible to add a few words to the original wording, but there should be no omission of the original wording. The part that is written in English or any other language does not necessarily have to be an accurate translation of the Hebrew part. It can simply be the vows that the bride and groom have written. There is information in the Hebrew part that the parties might not want to be easily readable, given that this is a document that would be public. Some of these include whether the bride was a virgin or not, and the number of silver pieces (zuzim) that the bride is worth. Is the bride a virgin? 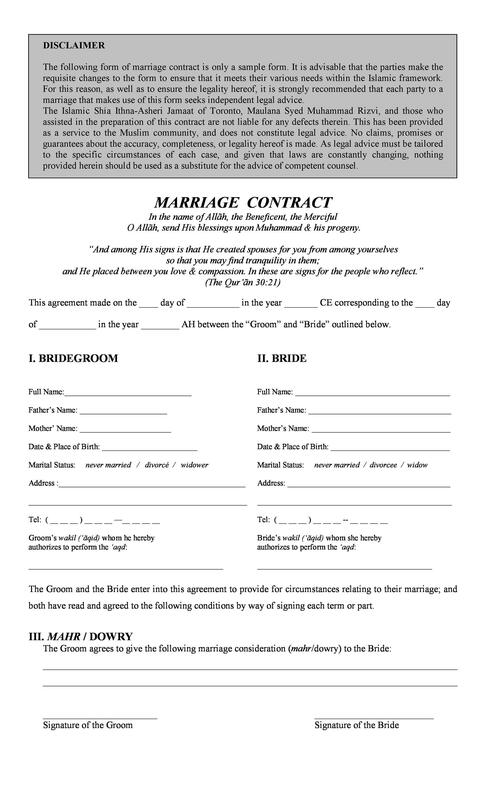 There are several references that are made to the bride in this contact, including a convert, divorcee, widow or virgin. 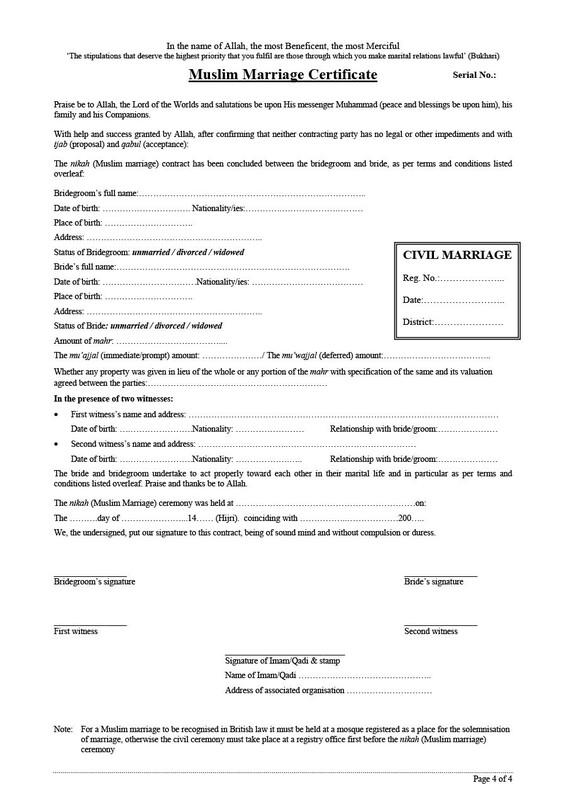 The word virgin as used in this contract does not take the literal biological inference but simply means that the bride has not been married before. Traditionally, the designation of a virgin doubles the amount of money that is set aside by the groom for his bride. 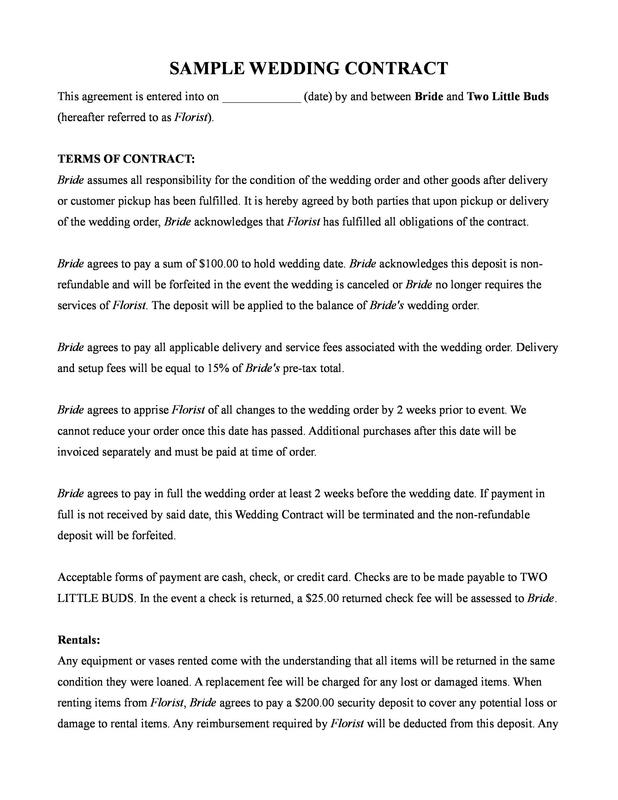 Essentially, on the side of the groom, this is basically a prenuptial agreement. It sets out terms of what he will give the bride assuming that the marriage is to be dissolved. This information is, however, not laid out as literally as it might sound, but there are terms that usually take experts to interpret. As a matter of fact, the groom’s divorce settlement is simply all the zuzim that he agrees to increase or accepts. In order to pay off this settlement, the groom also agrees explicitly, to mortgage all he owns, even if it means selling the clothes he wears. 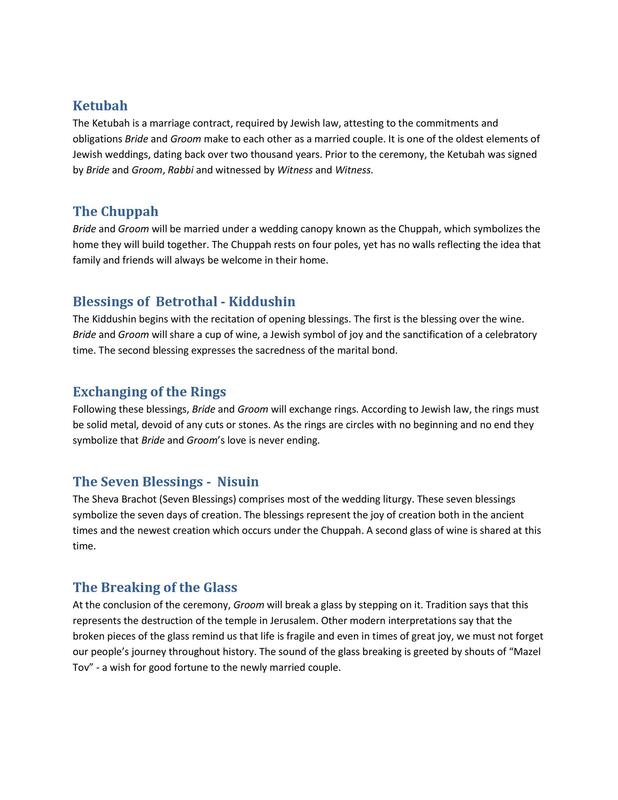 With the zuzim, the groom simply holds what he promised the bride in escrow for as long as they stay married to one another. 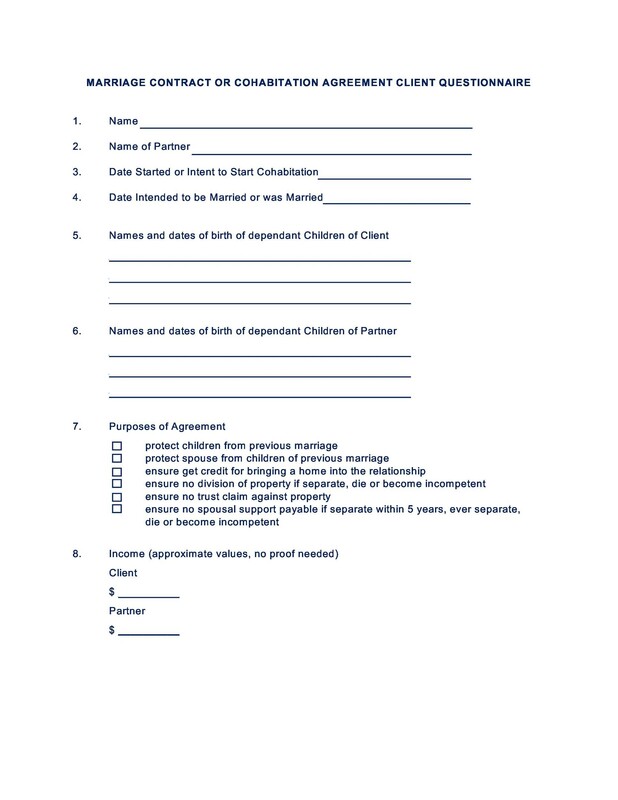 This contract also has to establish who is getting married, when they were getting married and where the marriage was taking place. It is important to note that the Hebrew calendar usually runs to the following day when the sun goes down. 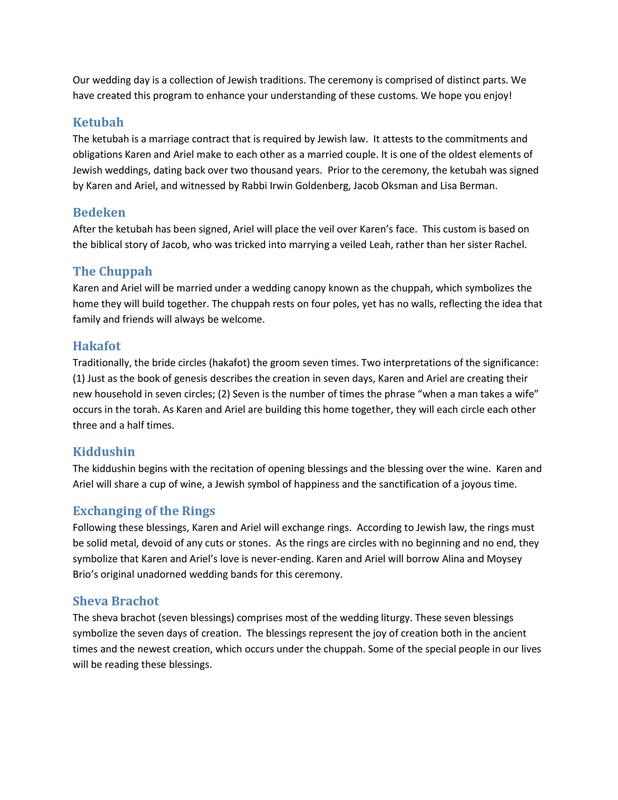 Therefore, assuming that you were getting married on a Monday, which is basically the second day of the normal week, and your marriage is being done after the sun goes down, the date on your Hebrew marriage contract will be the third day of the week, even the day of the month will reflect this. 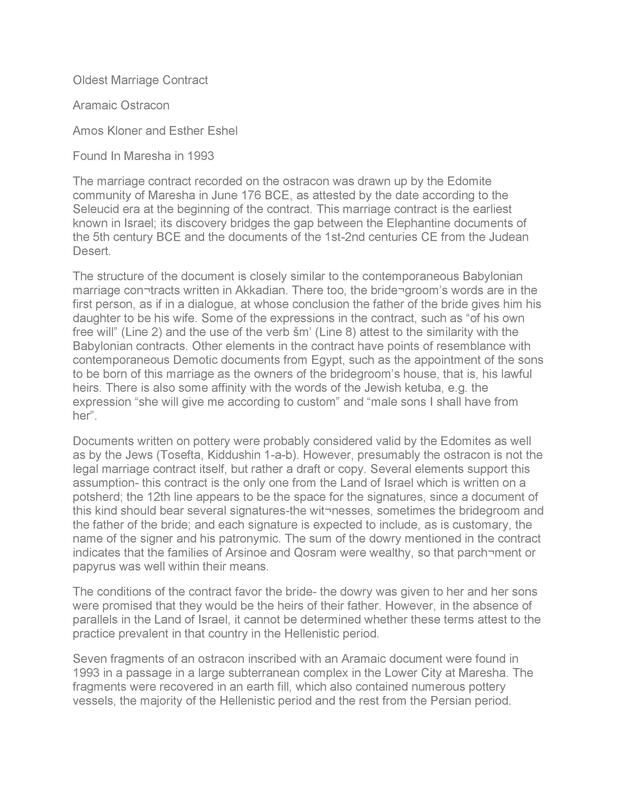 The bride and groom are all identified in this marriage contract by the names their fathers gave them, hence Tevyeh son of Abraham and Goldeh daughter of Jacob. 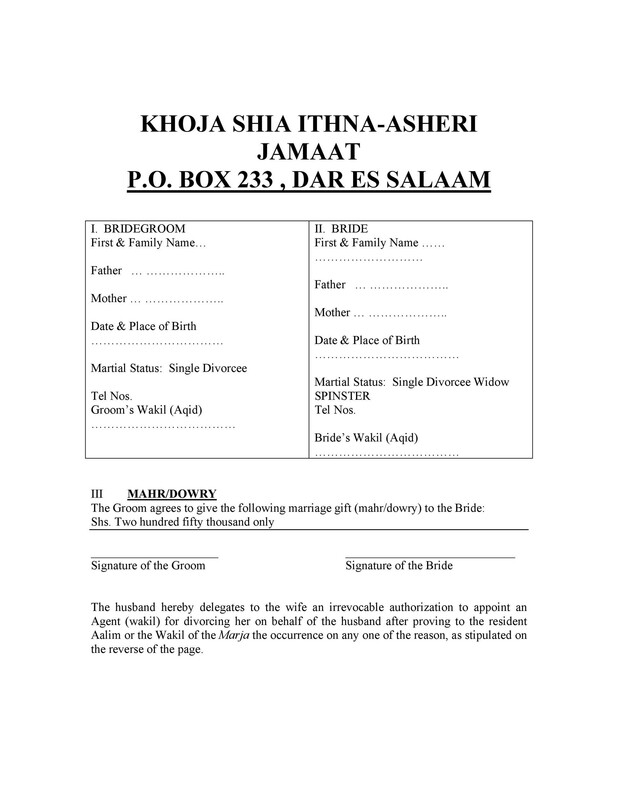 The names of the mothers or the bride and groom’s surnames are not needed, but there is nothing wrong with including them in the marriage contract either. Therefore, there is nothing wrong with indicating Tevyeh son of Abraham Morse and Sarah Ward. 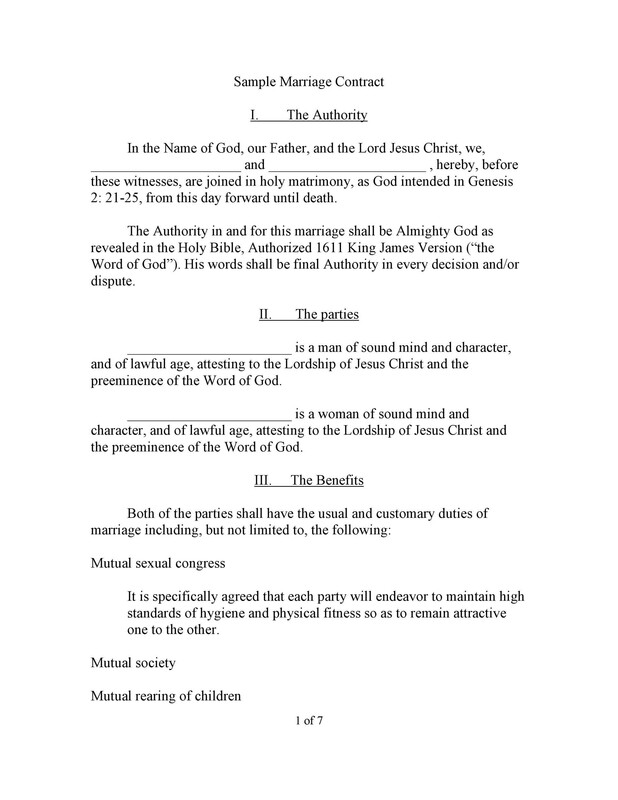 The final section in this marriage contract is the witnessing. 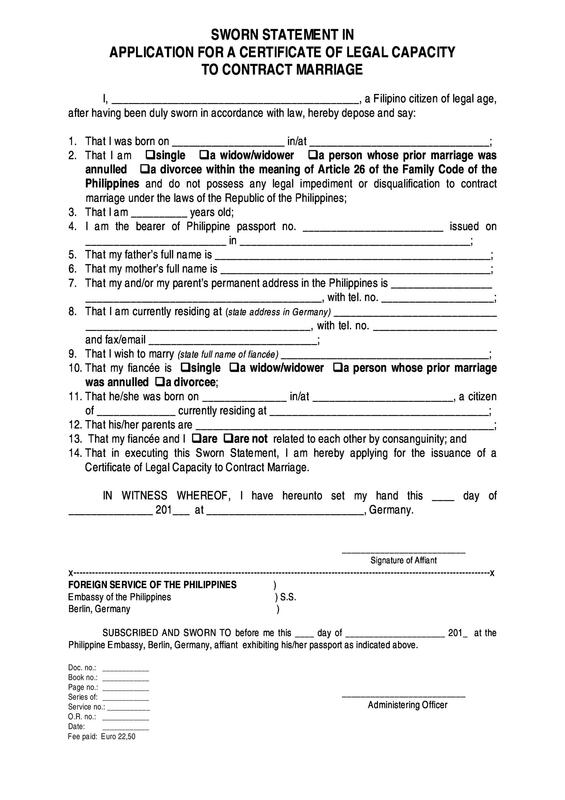 There have to be witnesses who attest to and append their signatures as proof of what transpired between the bride and groom. The witnesses to this marriage must be Jewish males. They also have to be at least 13 years old and have no relation to the bride or the groom, and no relation to one another. No relation here means there should be no blood relation between them, either as in-laws or even as partners to blood relations. What this means is that the witnesses are not supposed to be people who have something to lose or gain in case the marriage is dissolved. Though in some cases people do not adhere to this, the witnesses are supposed to be people who strictly observe Sabbath. Given that it can be difficult to find witnesses who actually qualify, considering the stringent terms and conditions, the couple can actually honor someone as witnesses, even if they are relatives, or even if they are female. 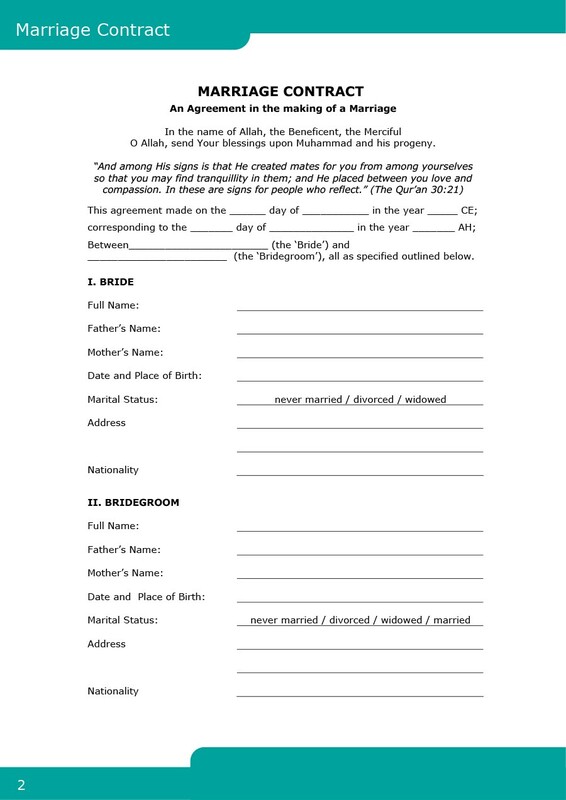 To do this, the couple that comes through as witnesses are allowed to sign their names in the part that is written in English (or whichever language), just below the Hebrew text. The witnesses who qualify under these rules, however, will sign their names in the Hebrew part. It is not mandatory that the witnesses in the Hebrew text and the English text are the same. However, according to Jewish law, it is only the witnesses on the Hebrew section who matter. As a matter of fact, there are so many brides and grooms who actually have no idea who signed the Hebrew part of their marriage contract as witnesses. In most cases, in case there are no witnesses who can sign this part, the Rabbi can make arrangements and have two witnesses who qualify to do that for you. 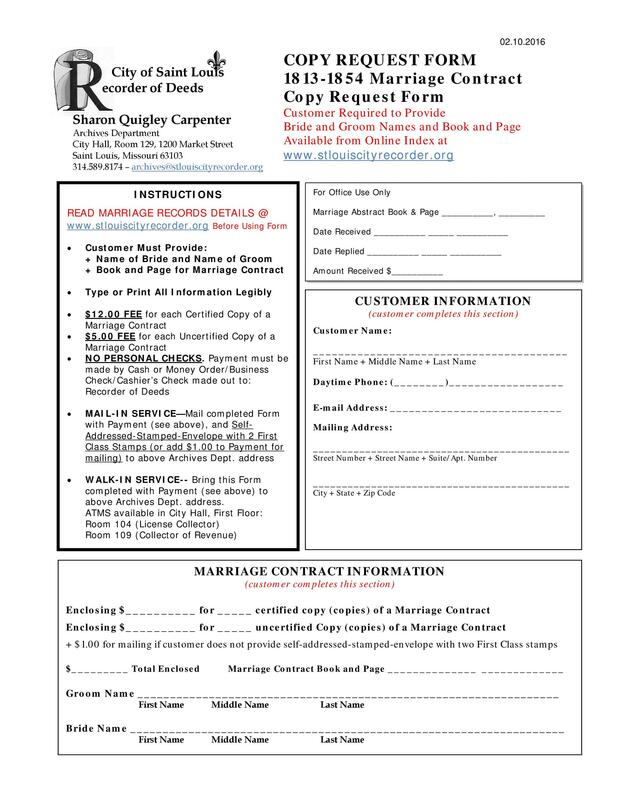 Take note that for this marriage contract, the only signatures that matter are those of the bride, the groom, and the two legitimate witnesses. 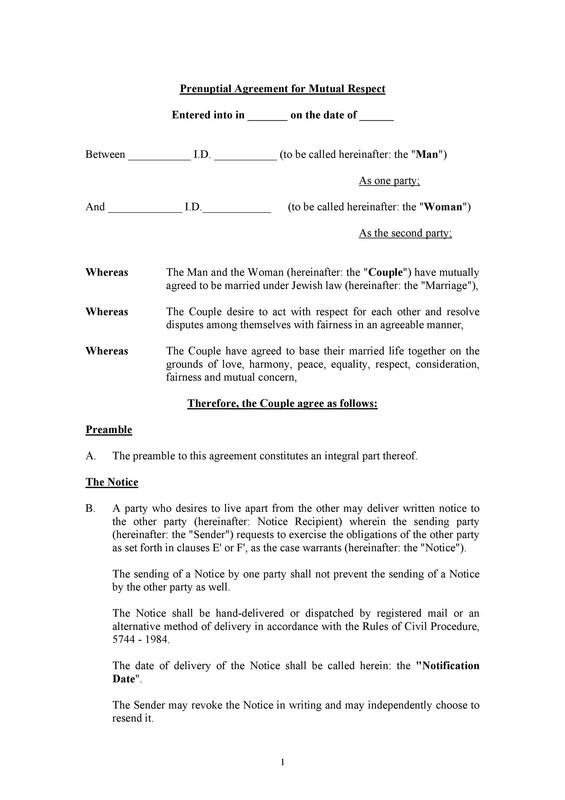 Even the person officiating the marriage is not allowed to sign this contract. The only part where they can sign is the second language section. Irrespective of the type of marriage you get into, there are terms and conditions, rules and obligations that have to be followed, especially if you are to live happily ever after. While most people get into a marriage in the hope that they will live happily ever after, it is impossible to overlook the fact that at times, things do not just work out. 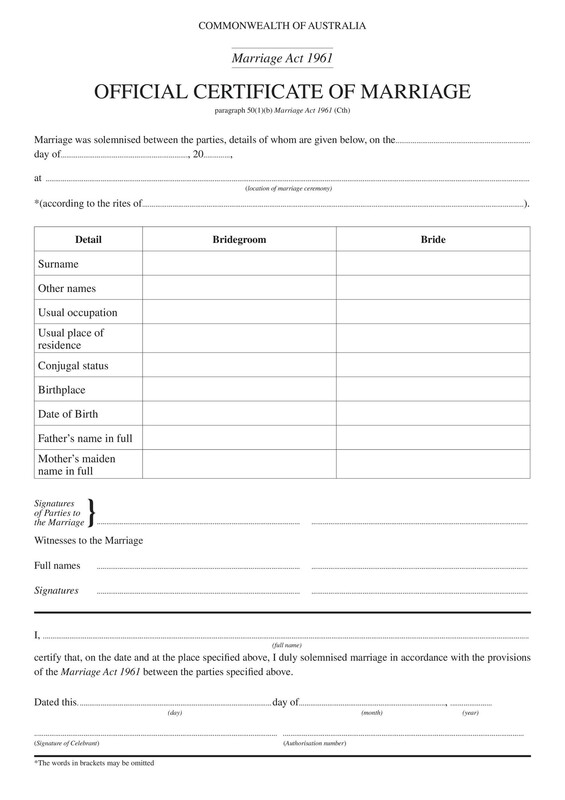 In this case, your marriage contract template will help decipher the procedure to follow should this happen. At times the marriage fails as a result of the failings of either or both of the parties and at times illness and death force the marriage to come to an end or some other reason beyond the control of the parties. 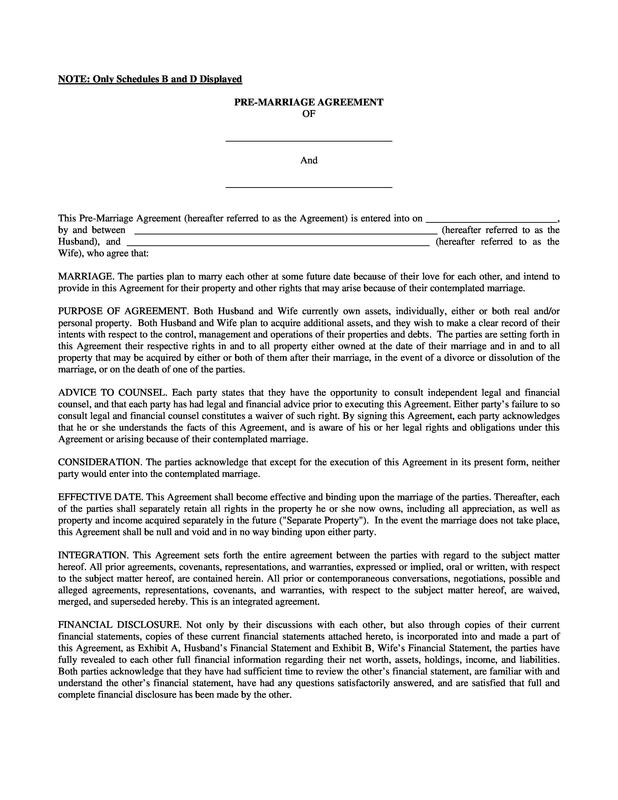 With this in mind, your marriage contract stipulates what happens when this eventuality becomes real, and how to proceed from there.